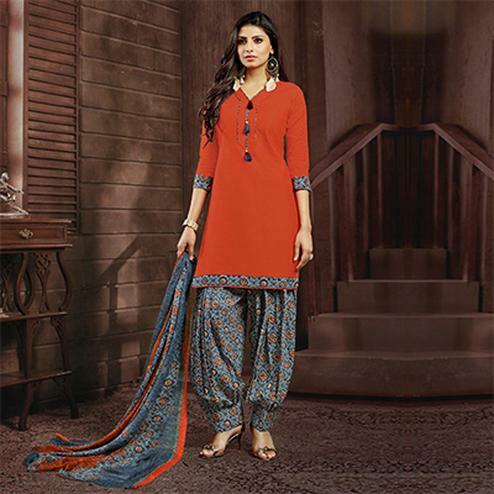 Add grace and charm on your appearance in this gorgeous navy blue colored flex cotton patiala dress material. Available with printed semi lawn cotton bottom and marble chiffon dupatta complimenting the attire. Get this dress material stitched into patiala suit and wear it for your upcoming family parties, weekend get-together, casual wear, office wear and kitty parties. This suit is lightweight and soft towards skin which is easy to carry all day long. Team this with a pair of matching earrings and heels for the perfect look.